New Union J! Tonight (We Live Forever) lyric video released! This has totally brightened up our Thursday afternoon! There’s a new Union J track out and it’s awesome! It’s called Tonight (We Live Forever) and the boys have just unveiled the lyric video to go with it. Jaymi, Josh, JJ and George are currently putting the finishing touches to the album, the follow-up to their debut Union-J which came out last year. 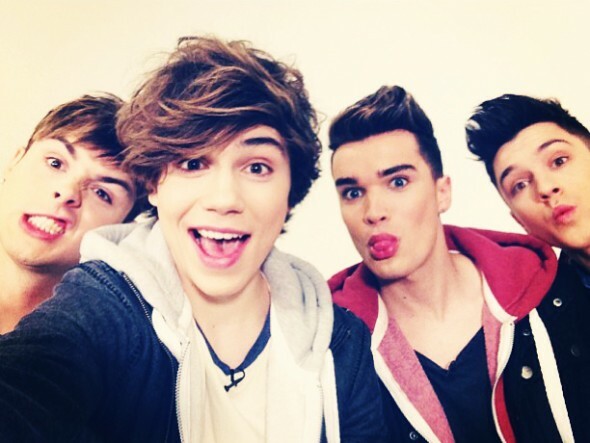 Josh from Union J chats to Sean about British Summer Time Hyde Park! Union J are playing at Barclaycard presents British Summer Time Hyde Park Family Day on 28th June! QUIZ: How well do you know Union J?! They’re also preparing to perform at PopShack Live at indigoO2 at The O2 on 19th July alongside Luke Friend, Amelia Lily, Loveable Rogues, Elyar Fox, Connie Talbot and Kingsland Road. Tickets for PopShack Live are on sale now, plus for VIP Ticket holders you’ll get to meet and greet some of the stars like Elyar Fox, Hollywood Ending and Brad Kavanagh. Click here to find out more about PopShack Live and get your tickets now! Tonight (We Live Forever) is released on August 17. Let us know how much you love the new Union J track in the comments below. Watch Union J’s You Got It All music video! Watch Union J at Popshack Live!